Trusted, Designated and Licensed advisors to the most innovative companies in BC’s technology sector. GO Recruitment is the most referred executive search, recruitment and HR services partner in BC. 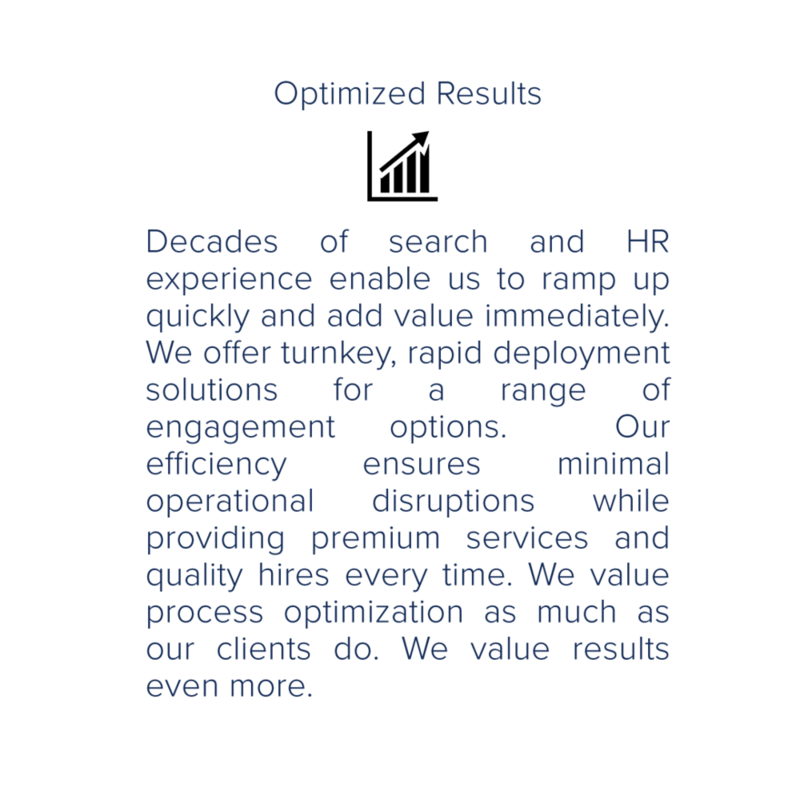 Decades of search and HR experience enable us to ramp up quickly and add value immediately. We offer turnkey, rapid deployment solutions for a range of engagement options. Our efficiency ensures minimal operational disruptions while providing premium services and quality hires every time. 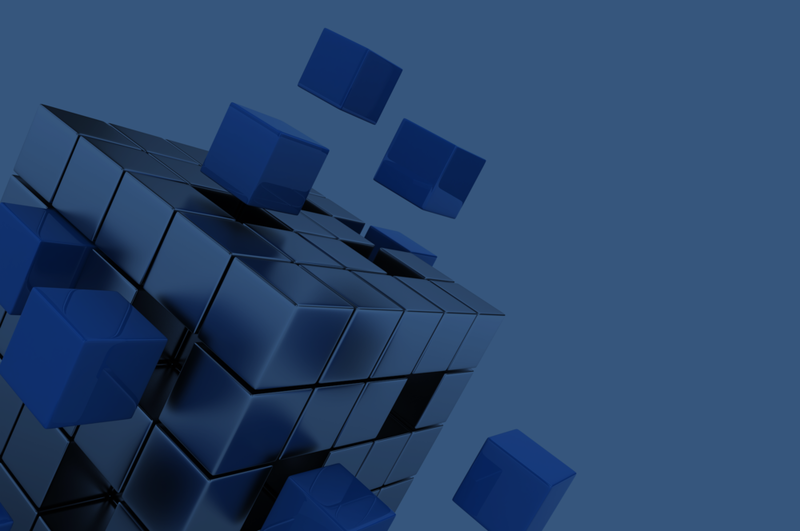 We value process optimization as much as our clients do. We value results even more. Doing it right means doing it once. Our search process results in the right hire for each client. We focus on retention so our clients can grow their businesses with minimal turnover and disruption. Candidates who work with us access exclusive premium opportunities and benefit from our support while they pursue rewarding careers with innovative companies offering long-term development. Our commitment to our clients includes protecting potential competitive intelligence from being disclosed. We value privacy and respect that of every client and candidate we meet. So much so that we will not betray your confidence and expose you to competitors in order to market ourselves. We are happy to provide ecstatic references for clients to speak with, however. Just ask us. We love what we do - which is why everyone on our team has at least 15 years of search experience. Each of our consultants is a specialist in specific disciplines and sectors. Apart from this domain expertise, our knowledge of and our relationships with our clients and candidates allow us to streamline the search process. We embrace commitment. We engage in deeper relationships with select clients and forego potentially competitive situations. 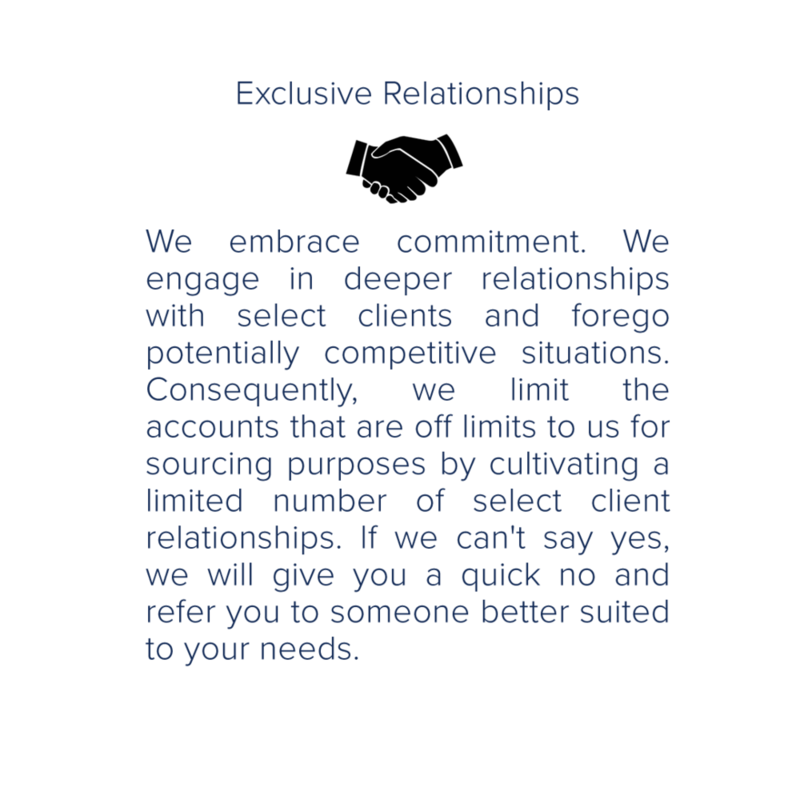 Consequently, we limit the accounts that are off limits to us for sourcing purposes by cultivating a limited number of select client relationships. If we can't say yes, we will give you a quick no and refer you to someone better suited to your needs. We are highly skilled, experienced and discrete professionals. That's the last time you will hear us say that, though. Because it's not about us: it's about you. You are our why. Your needs and priorities come first. Always. It turns out the one thing that we are bad at is overrated in our profession: self-promotion. We are okay with that. We do excel at delivering for our clients while maintaining the utmost discretion. We are strategic partners and trusted advisors first. Our interests are aligned with those of our clients. 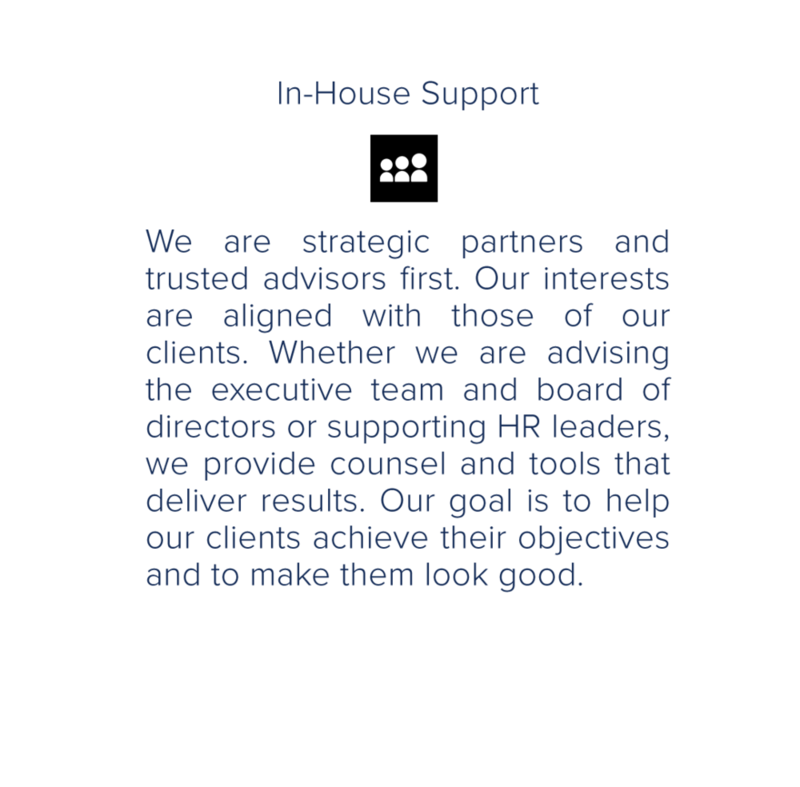 Whether we are advising the executive team and board of directors or supporting HR leaders, we provide counsel and tools that deliver results. Our goal is to help our clients achieve their objectives and to make them look good. We have coached, supported and grown the careers of countless industry experts. From co-ops to board roles, from startups to exits, we are offering advice and having coffees whenever our candidates or clients call us. Whether it is a brief project, multi-year engagement or quick check in, we offer our support and time unreservedly. We take the long view. Tech savvy and connected, we are excited about innovation and are early adopters ourselves. We maintain close ties to and teach at universities and colleges to stay connected to the leading thinkers. We even do a little coding for fun! We appreciate innovative ideas and frequently come up with some of our own. 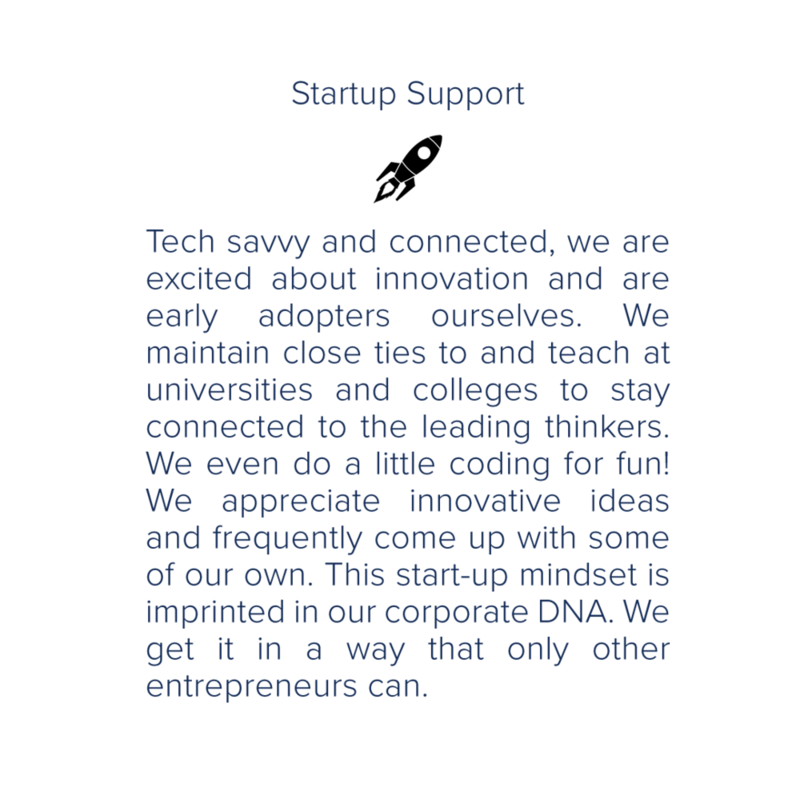 This start-up mindset is imprinted in our corporate DNA. We get it in a way that only other entrepreneurs can. View our 100% exclusive career opportunities with innovative and progressive companies and organizations in British Columbia. Full service executive search services delivered by experienced senior search professionals. Our reach is extensive and our functional knowledge is deep. Whether you need of a C-level executive or a pivotal technical resource, we will deliver the best candidates for the role from the local, national or international talent pool that is most appropriate for your needs. Our wide range of a la carte service options gives you the flexibility to engage us using an array of options or campaigns as stand-alone solutions or in combination with our other service offerings. Options include but are not limited to Managed Resume Response, University / Co-op Recruitment, Employer Branding, Shortlisting, Candidate Testing and Sourcing Campaigns. Our offering will be customized to fit your unique requirements. We are more than recruitment partners. We are strategic consultants who have amassed decades of lessons learned in hundreds of organizations. Take advantage of our collective wisdom and expertise when planning for critical talent acquisition and developing high performing teams. Our experts in strategic planning and staff retention will provide tactical support to hiring executives, managers and existing HR team members. Options include Productivity Accelerators, Corporate Coaching, Compensation Review, Retention Programs, Employee Engagement, Onboarding, Training, and Outplacement. Our unique approach to delivering HR executive services is predicated on an embedded model. Our consultants will literally join your organization and represent your firm. Whether you need a stealth technical recruiter for a month or a VP HR or Talent for a day every week, our Private Label service allows you to secure the skills you want on your terms. Our leadership team oversees a group of talented consultants and research professionals. Every customized project is assigned a subject matter expert with deep and broad knowledge of the relevant domain who can deliver our signature service and efficiency. You can reach us at 604.871.4166, or you can also reach us by using the contact form here.